Let all eyes be on you when you flaunt this Aleah Boho Necklace Set. 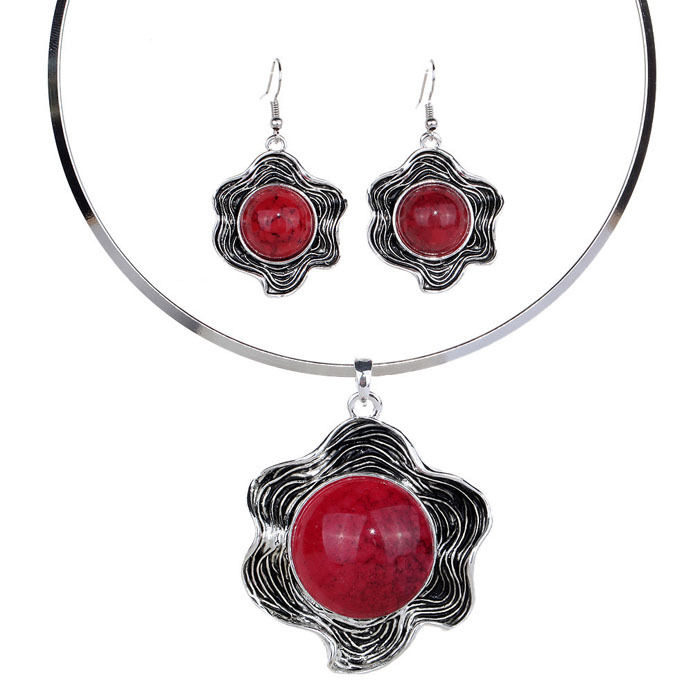 Cast in metal, the necklace features a floral-shaped pendant with red formica stone and wave-like pattern. Matching earrings. Add this beautiful necklace set to your jewellery collection today.